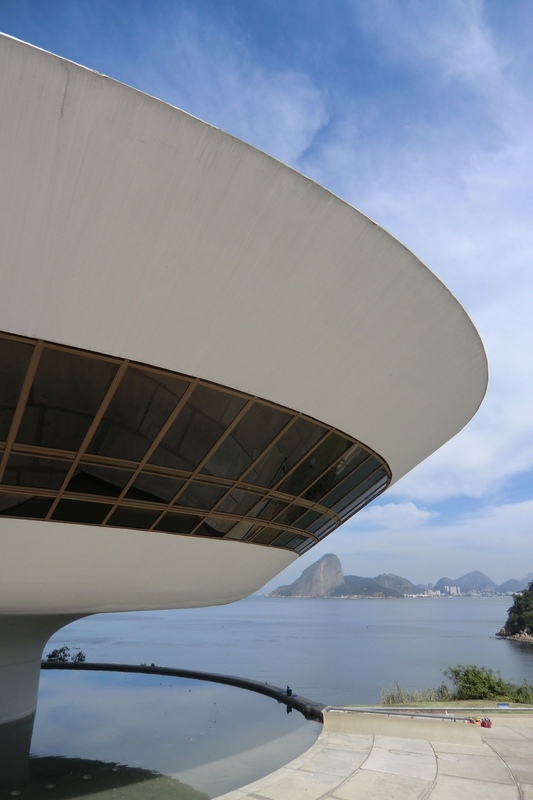 Dovetailing with a Rio focus – see Eight Rio Design Golds – this article spotlights Brazil’s best-loved architect, Senhor Oscar Niemeyer. 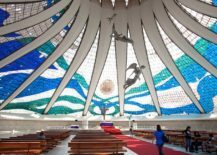 Born in 1907 in Rio de Janeiro, Oscar Niemeyer, Brazil’s most famous architect, had not at first considered architecture as his vocation. 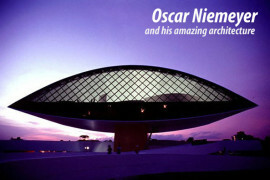 Nevertheless, there was evidently something in his psyche, and Niemeyer did enjoy drawing from a young age (his mother recalled that as a baby, Oscar appeared to draw in the air with his fingers). Oscar Niemeyer (1907–2012). Photo via by Kamy. 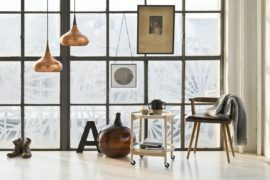 ‘Oscar’ (as he is affectionately known in Rio) hailed from a wealthy, bourgeois family, and in his early days felt little compulsion to work, choosing instead to enjoy a more bohemian lifestyle. 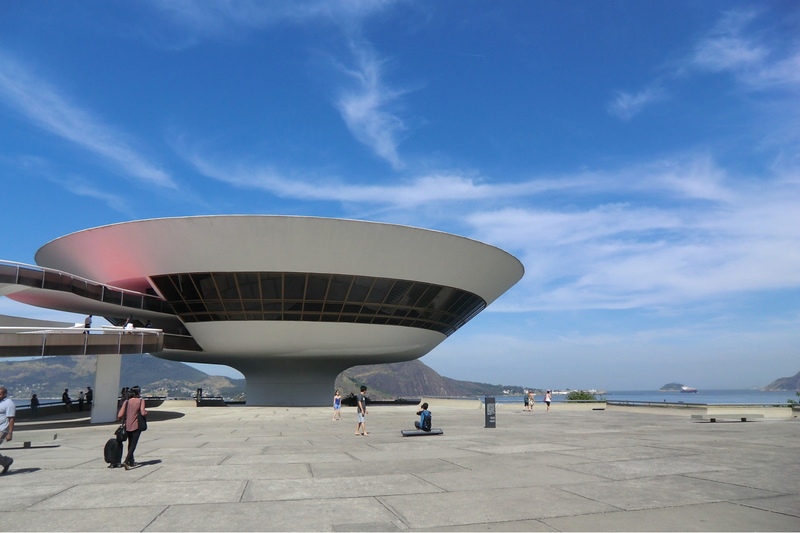 As a young man, Niemeyer reportedly loved four particular things: drawing, nature, women and communism. 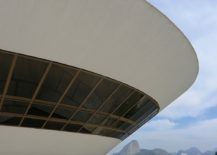 Indeed, Niemeyer’s proclivity for curves (the female form) and natural lines are evident throughout his many works. 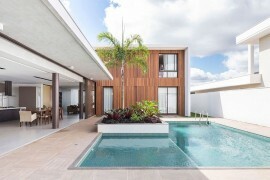 His style of modernism was distinctly Brazilian, both whimsical and romantic. 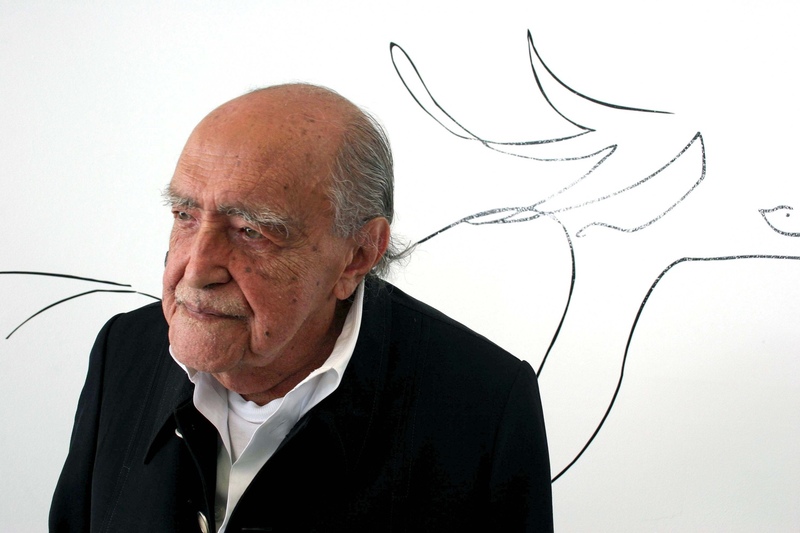 With his penchant for drawing, Niemeyer graduated in 1934 with a degree in architecture from Rio’s Escola Nacional de Belas Artes (School of Fine Arts). 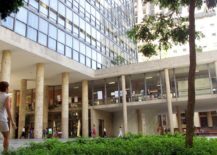 Before graduating, he was hired by architect Lucio Costa to work on the modernist Ministry of Education and Health Building in Rio, known also as the Palácio Gustavo Capanema. 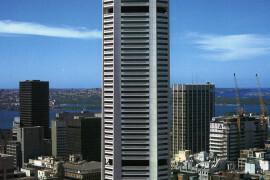 While working on this project, Niemeyer met Le Corbusier who was tasked with evaluating the design. 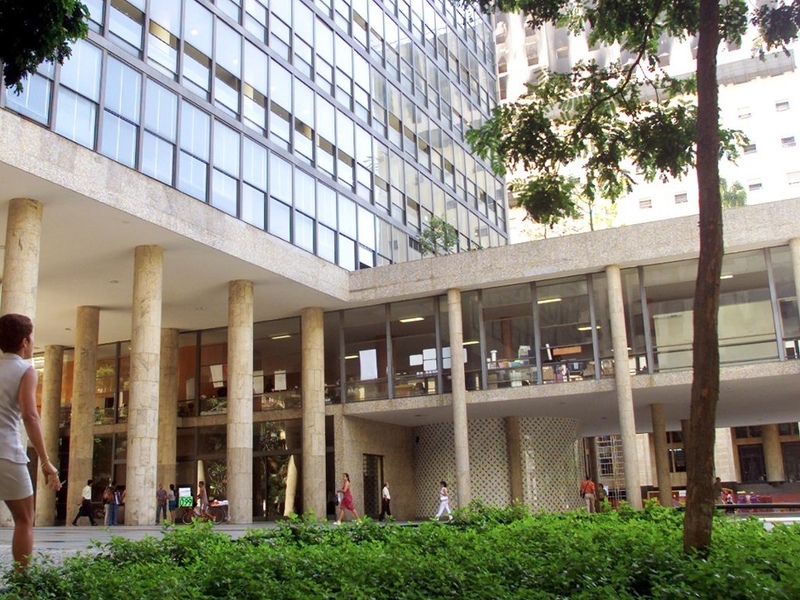 Ministry of Education and Health Building or Palácio Gustavo Capanema. Image via Miguel Martín Graduate Thesis Blog. Ministry of Education and Health Building. Photo © 2016 Guardian News and Media Limited. 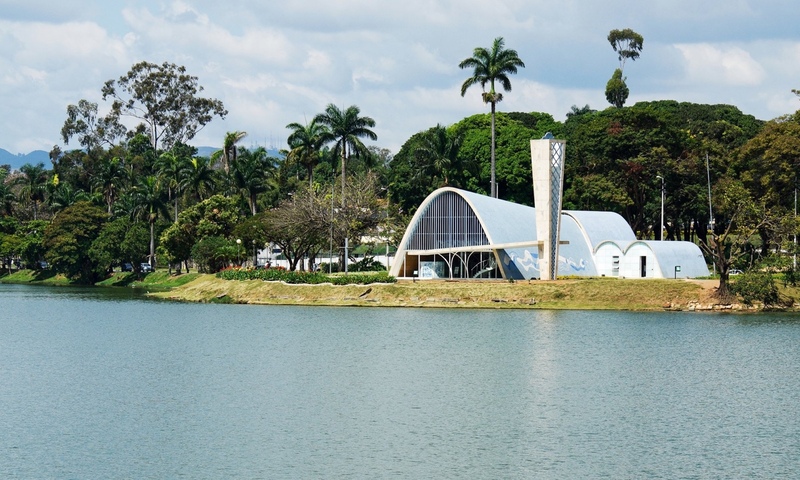 In 1940, Niemeyer designed the Church of St. Francis de Assisi in the Pampulha region of Belo Horizonte, a city in eastern Brazil. 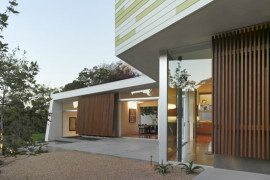 The design was a marked rejection of the harsh lines and rational architecture seen in many modernist buildings, accentuating instead a more feminine shape by using natural and harmonious curves. 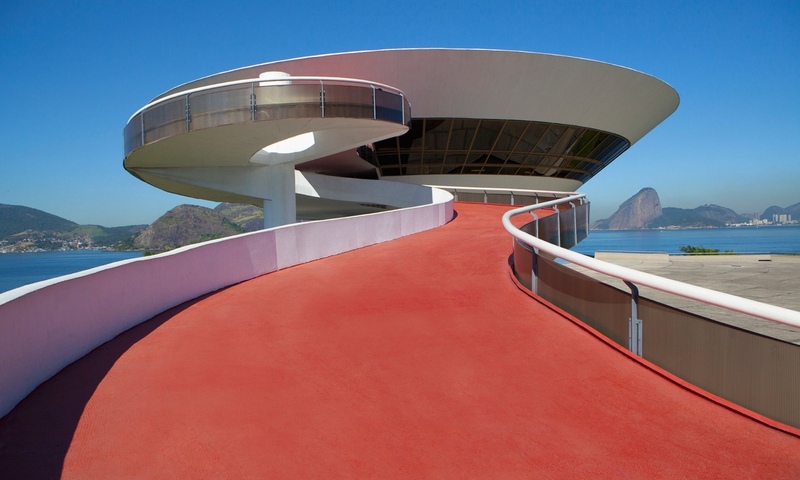 Niemeyer’s fascination with the female form was fodder for his many designs. Church of St. Francis de Assisi (Igreja de São Francisco de Assis). Photo © 2016 Guardian News and Media Limited. Church of St. Francis de Assisi (Igreja de São Francisco de Assis). Photo © Jochen Weber. 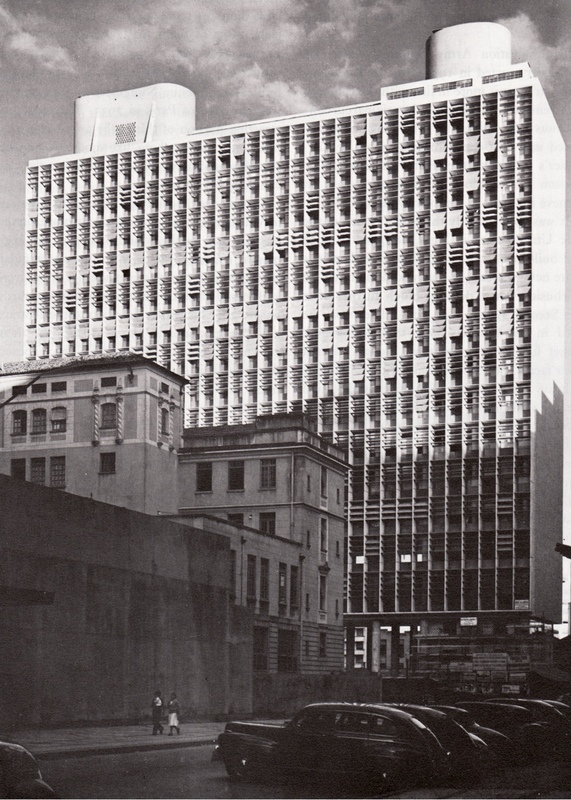 In 1947, Niemeyer worked with Le Corbusier to design the United Nations Headquarters in New York City. 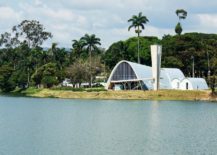 The two architects developed their own distinctive designs: Le Corbusier conceived a basis for the headquarters and Niemeyer drew up the final plan. 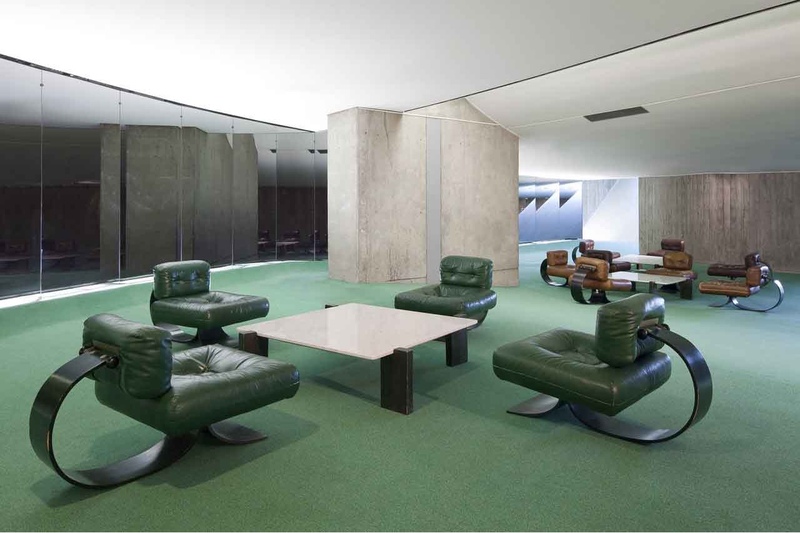 The building was completed in 1952 and Niemeyer’s collaboration with Le Corbusier earned him much respect in Brazil. 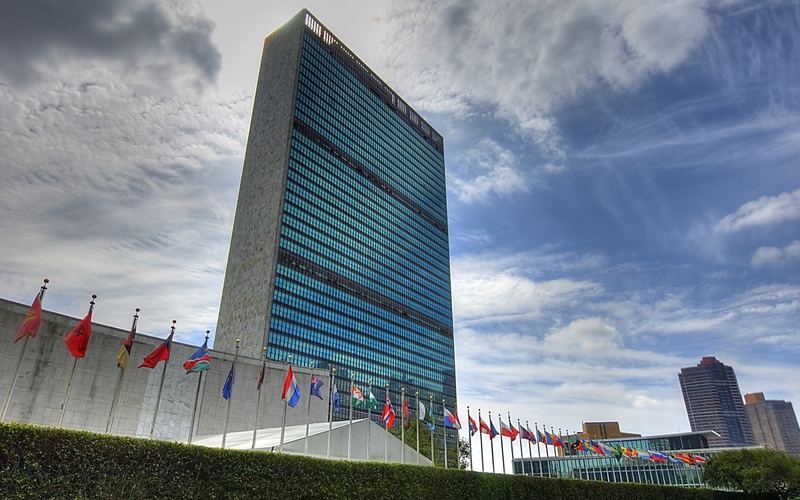 United Nations Headquarters, New York City. Photo by knowsphotos/flickr via The Tower. 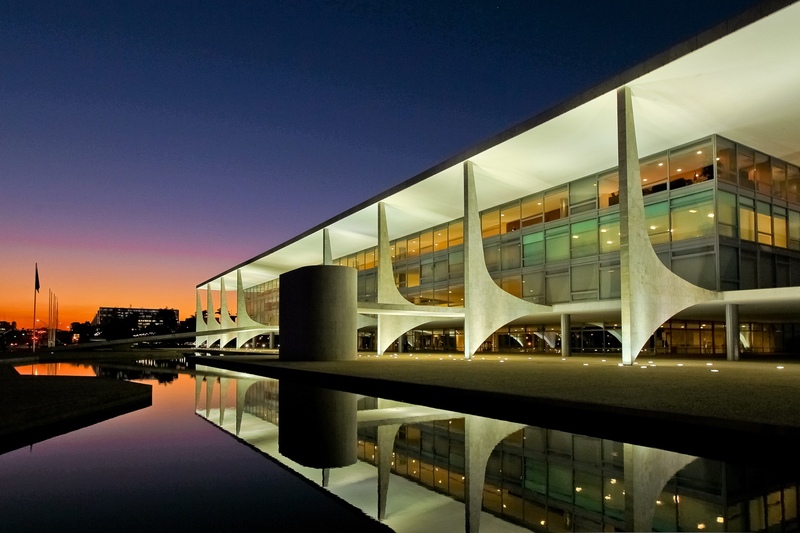 It was Niemeyer’s work on Brasilia, Brazil’s new capital, that perhaps cemented his reputation as an architect. 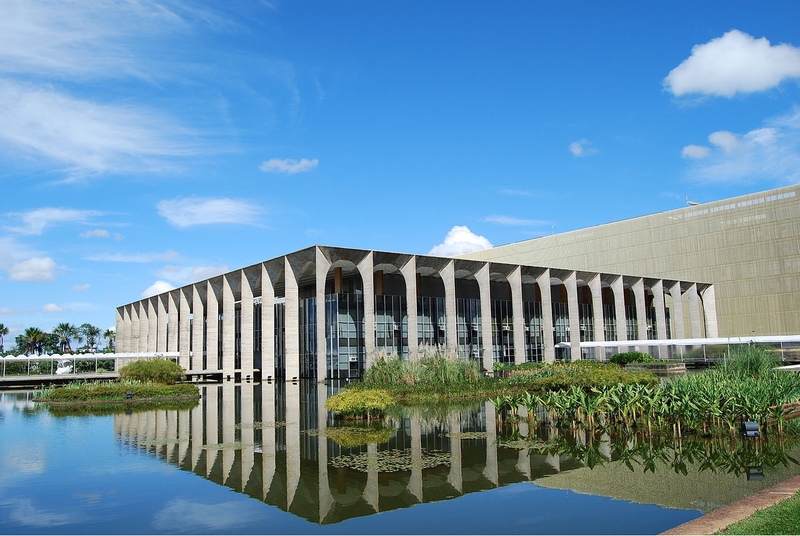 Created from nothing between 1956 and 1960, and located in the country’s central west, Brasilia was key to President Juscelino Kubitschek’s national modernisation project. Niemeyer again worked with Lucio Costa to build the city, generating a monumental landmark in the history of town planning and a study in modernist urbanism. 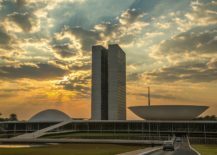 Brasilia was built around the principles of harmony and symmetry, a utopia created and curated with much flair, imagination and innovation. It truly was a work of genius and a place that demonstrated the tenets of Le Corbusier’s 1946 doctrine How to Conceive Urbanism. 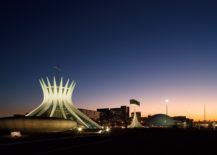 Brasilia was inaugurated as Brazil’s capital city in 1960 (unseating Rio) and was named a UNESCO World Heritage Site in 1987, the only urban centre to be built in the 20th century that has been awarded this status. Palácio da Alvorada – official residence of the President of Brazil. 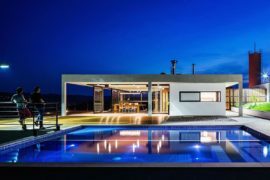 Photo © 2016 Architectuul. 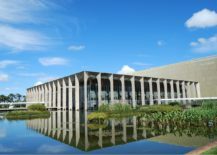 Palácio do Itamaraty, Brasília, Brasil. Photo by A C Moraes via Wikimedia Commons. 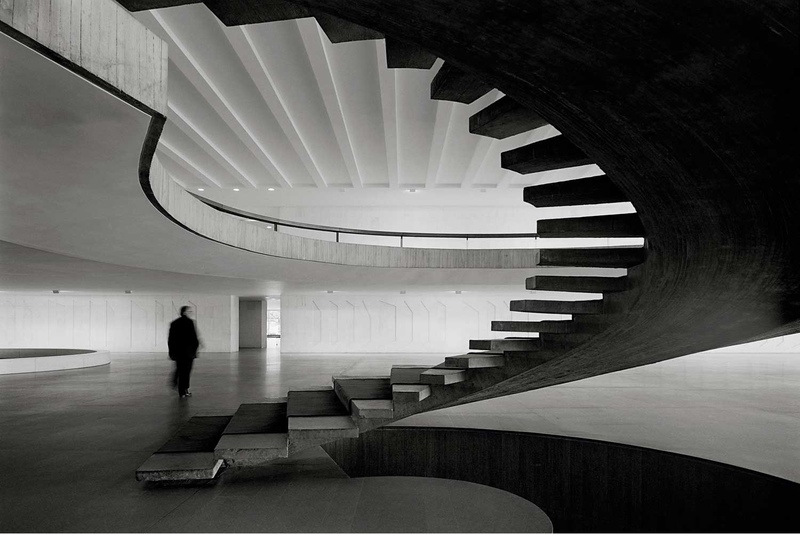 Spiral staircase in the Palácio do Itamaraty. Photo by Cristiano Mascaro via Yellowtrace. National Congress. Photo © Embratur via Brazilian Government website on the 2014 World Cup. 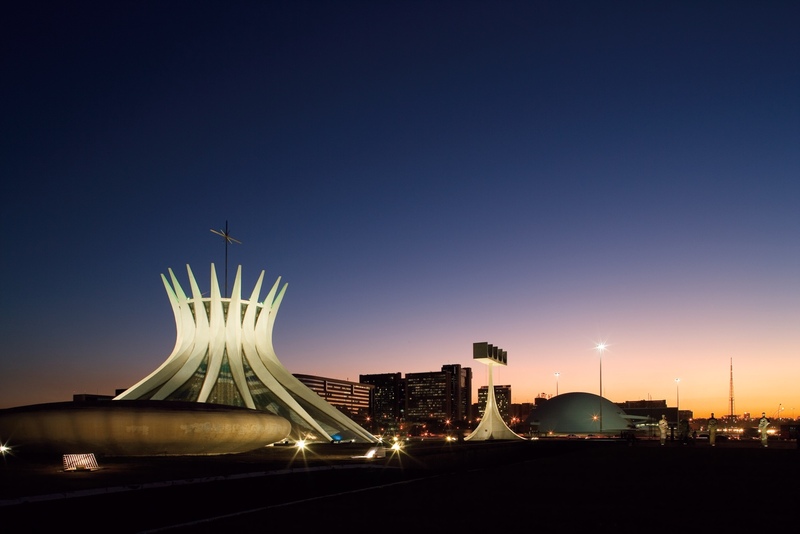 Catedral de Brasília. Photo © Embratur via Brazilian Government website on the 2014 World Cup. Catedral de Brasília interior. Photo © 2016 Guardian News and Media Limited. 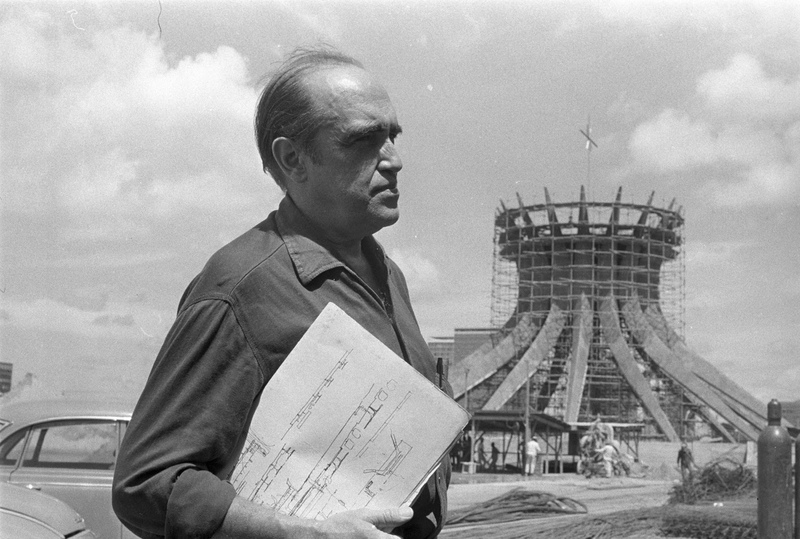 Oscar Niemeyer at the Catedral de Brasília. Photo via CAU/BR. Niemeyer was committed to Communist ideology – a fact reflected throughout his work – and he joined the Brazilian Communist Party in 1945 (later acting as the party’s President between 1992 and 1996). 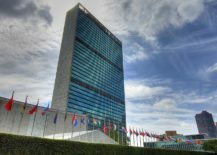 Following his work on the United Nations Headquarters, Niemeyer was appointed as dean of Harvard University’s Graduate School of Design. However, his membership of the Brazilian Communist Party resulted in the US government refusing him an American work visa. The 1964 Brazilian military coup (supported by the USA) left Niemeyer in a precarious position. Known as someone with left-wing beliefs and tendencies, his office was ransacked, and Niemeyer left the country, seeking refuge in France. 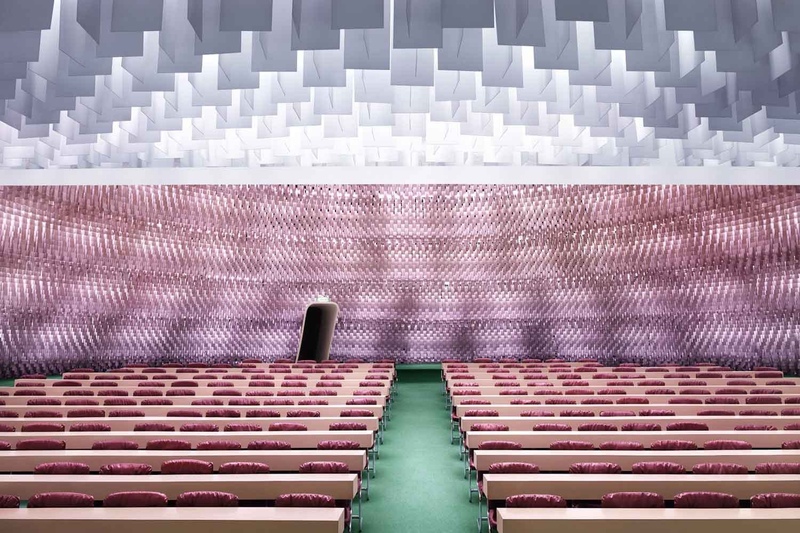 In Paris, Niemeyer designed a modernist and bold headquarters for the French Communist Party, a structure set in stark contrast to the city’s many grandiose and stately architectural gems. 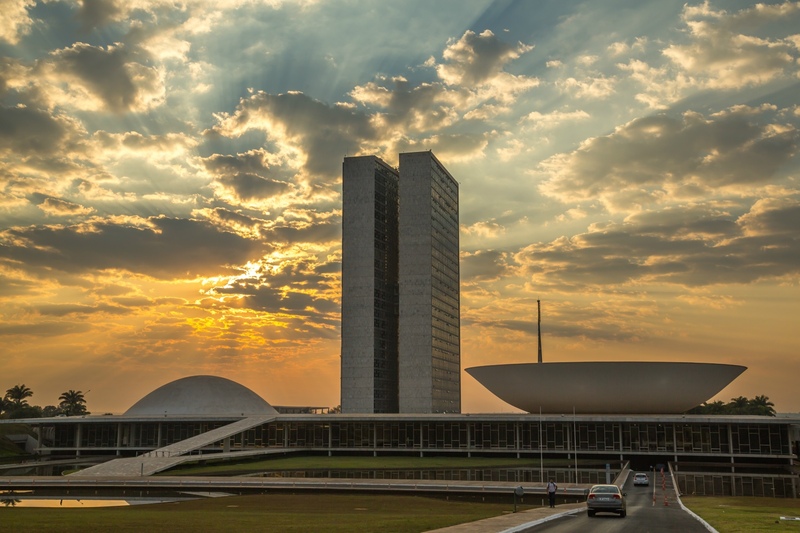 Brazil’s military dictatorship lasted until 1985, after which time Niemeyer returned to live in his home country. French Communist Party HQ. Photo by Christophe Ena/AP via The Picture Show. 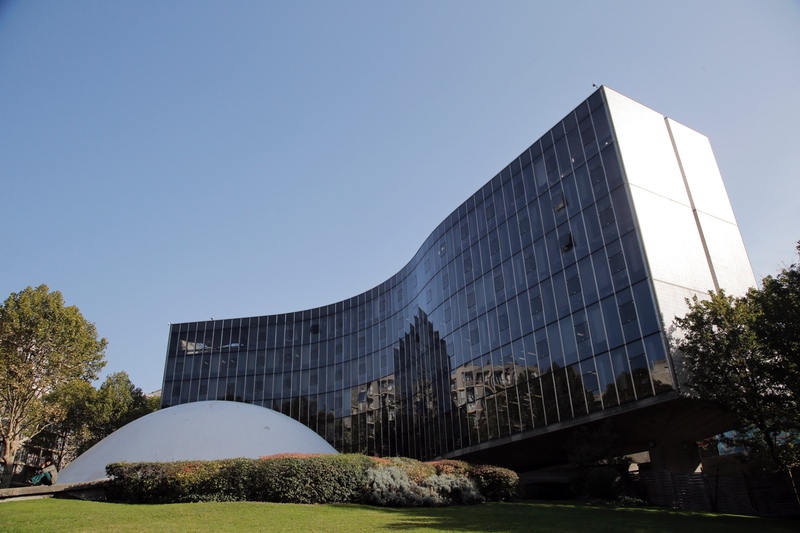 French Communist Party HQ. Photo by Luca Zanier via Yellowtrace. Niemeyer considered himself to be a pessimist and a realist. His commitment to the Communist Party was one based on change and fighting injustice, working together to achieve a better world for all. 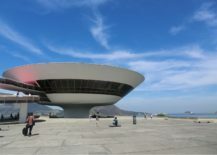 In 1996, aged 89, Niemeyer completed what many believe to be his greatest work: the Niterói Contemporary Art Museum in the city of Niterói, sitting on Guanabara Bay, opposite Rio. 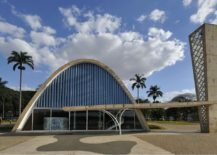 Niemeyer had a long and prolific life – he died in 2012 aged 104 and produced more than 500 buildings – and his architectural legacy endures, prospers and excites. 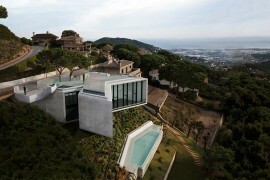 Just as the architect himself, his numerous achievements are enjoying longevity, their forms never outdated. 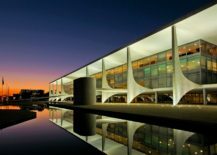 As with any great architect, Niemeyer received many awards and accolades, including the Pritzker Prize for Architecture in 1988. 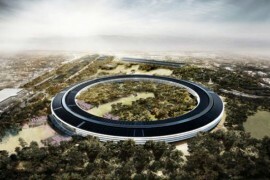 Yet more inspiring was his commitment to and belief in the fundamental power of architecture. 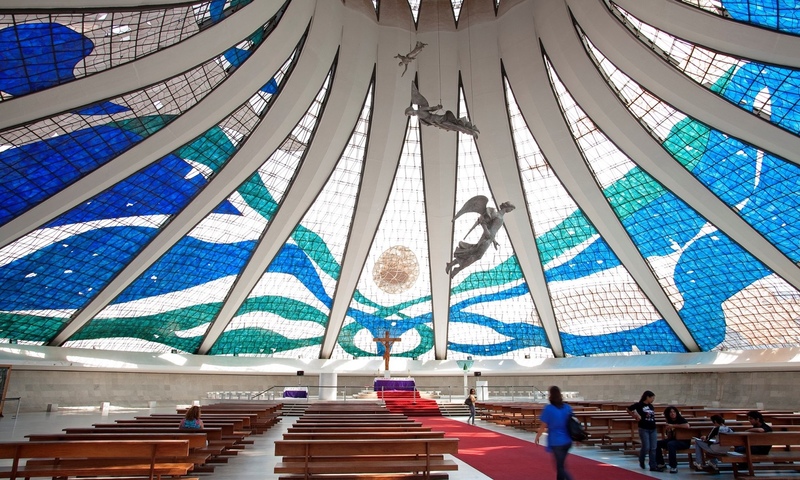 Niemeyer was still working up until his death, championing his belief in a better world and fighting for the amelioration of all over the privileged few. 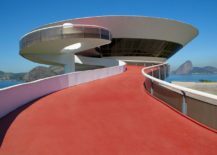 Niterói Contemporary Art Museum. Photo © 2016 Guardian News and Media Limited. Niterói Contemporary Art Museum panorama. Photo © Gili Merin via ArchDaily. Niterói Contemporary Art Museum view. Photo © Gili Merin via ArchDaily. Of the architect, Oscar Niemeyer concluded: “The architect is a citizen just like any other, always open to serve any kind of program (sic) presented to him, be constantly aware of society’s need to change, to foster a fair and solidary world” (Source: ArchDaily).